We Kare About Your Well-Being! Kold Kare is produced from a standardized extract of the herbal plant Andrographis paniculata. 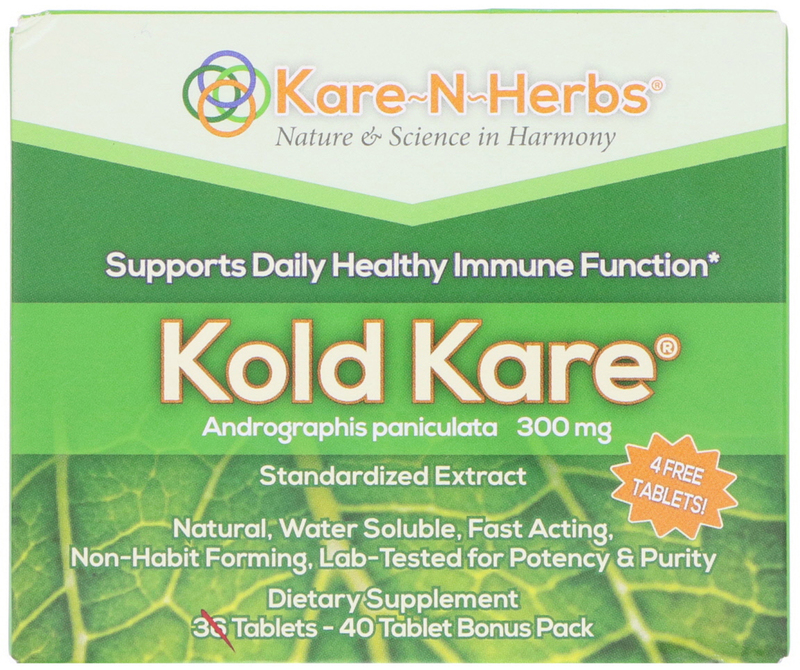 The adaptogenic qualities of this herb have been recognized for centuries throughout Europe and Asia as helpful in promoting and supporting healthy immune function. The main bioactive component of Andrographis paniculata is andrographolide, which is extracted from the plant's leaves and stems. 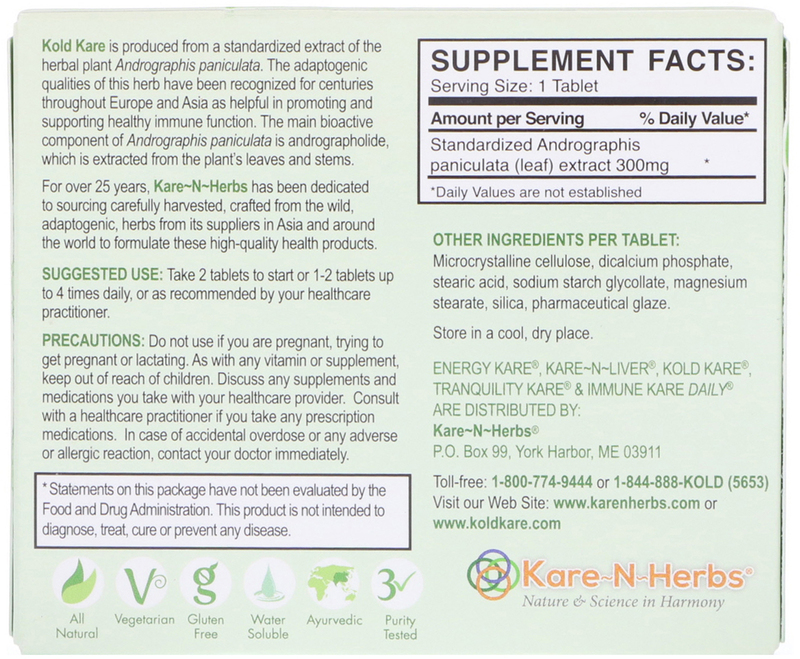 For over 25 years, Kare-N-Herbs has been dedicated to sourcing carefully harvested , crafted from the wild, adaptogenic, herbs for its suppliers in Asia and around the world to formulate these high quality health products. Take 2 tablets to start or 1-2 tablets up to 4 times daily, or as recommended by your healthcare practitioner. Microcrystalline cellulose, dicalcium phosphate, stearic acid, sodium starch glycollate, magnesium stearate, silica, pharmaceutical glaze. Precautions: Do not use if you are pregnant, trying to get pregnant or lactating. As with any vitamin or supplement, keep out of reach of children. Discuss any supplements and medications you take with your healthcare provider. Consult with a healthcare practitioner if you take any prescription medications. In case of accidental overdose or any adverse or allergenic reaction, contact your doctor immediately.